Comfort, style and durability are what we all look for when we're purchasing new living room furniture. At Davis Bros. Furniture our furniture offers all of those three criteria and so much more! You will find a selection of leather and upholstery couches, sectionals, love seats, futons, chairs, recliners, our famous Canadian Rockers and so much more at Davis Bros. Furniture. All of our pieces can be ordered in custom fabrics to personalize your style; let us help you mix it up! You will find many rustic accent pieces including end tables, coffee tables, lamps, and wall décor to add the finishing touches to your room. We also carry some log furniture pieces crafted by the Amish that will look charming on top of one of our handcrafted area rugs. The living room is one of the rooms that all families large and small gather in, and we want to help you choose the right pieces to compliment your lifestyle and provide years of comfort. 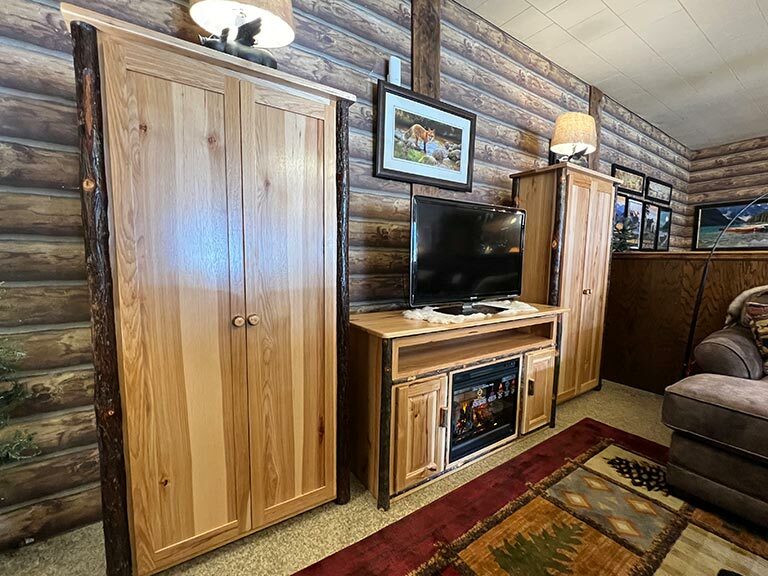 Rustic, contemporary, or casual we have it all and we invite you to stop in to browse our showrooms. Copyright © 2019 Davis Bros. Furniture. Website design provided by PHD Consulting, a Maine company.